Shipping is simple and straightforward. We use Australia Post and Fastaway couriers both services provide tracking information from placement to delivery. Please be sure to indicate your daytime address for deliveries. Any irregular or additional freight and handling that need to be charged will be arranged and agreed upon with you before finalising payment and delivery. AusSpin Lures will not be liable for any loss or damage caused directly or indirectly by any delay in or failure of delivery. You receive Free Shipping for Australian orders over $100 unless otherwise stated. Your orders will be delivered within 1-7 business days by Australia Post or Fastaway Couriers (expect longer if your destination is in regional or remote areas). Your orders will be delivered via Australia Post’s Pack and Track International affiliated with the postal services within your country, within 3-10 business days between metropolitan areas of major cities (expect longer if your destination is in regional or remote areas). We appreciate your careful and serious selection of your purchases. We do not refund if you’ve simply changed your mind. Refunds are only applicable for serious faults or manufacturing defects. Please do not neglect or prolong your time in contacting us in the case of such an unfortunate event. Refunds or Credit Notes will be considered but not guaranteed. You must notify AusSpin Lures of any defective goods within 7 days of receiving the goods. Upon inspection that we agree that the delivered goods are defective through faulty materials or workmanship, these items must be returned within 7 days from notification at your own postage cost. Please include purchase reference or packing slip and indicate the reason of your return. 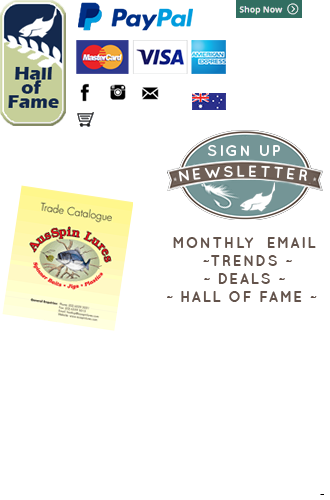 Upon acceptance of request and at the sole discretion of AusSpin Lures, items will either be replaced, repaired and sent to you without further postage fee; or, refund or a Credit Note of the purchase price will be arranged with you. Exchange, Credit Note or refund will be processed within 7-14 days on receipt and clearance of goods via your method of payment. 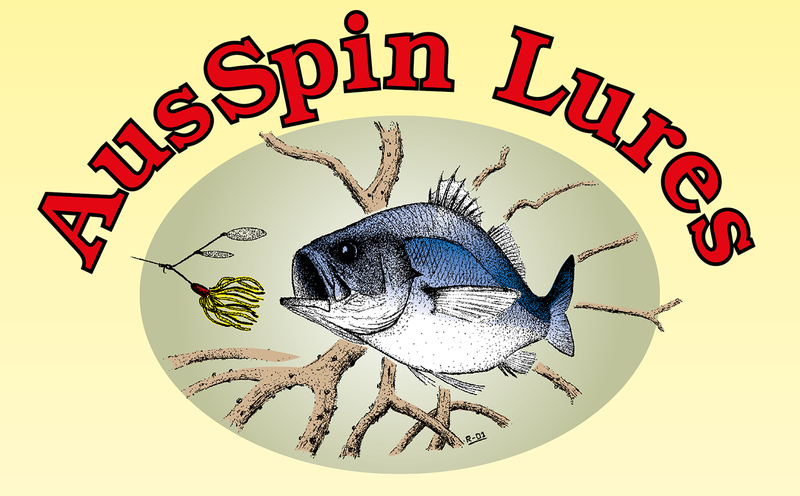 To exchange size, colour or style, you must get in touch with AusSpin Lures within 7 days of receiving your order. Goods returned for exchange or Credit Note must be returned in original condition, that is new and unused condition. Your return / exchange of item will not be accepted if AusSpin Lures considers these items used. Goods are returned at your own postage cost. If we cannot repair or replace the faulty or incorrect item that you return, a Credit Note of your purchase value will be provided for you to choose in replacement. Please quote the Credit Note reference number when redeeming your credit amount. AusSpin Lures will provide Free Shipping with your initial order and for one exchange should it be required. If you wish for additional exchanges, you must provide a return reply-paid satchel enclosed with your item for exchange for us to send you another replacement.